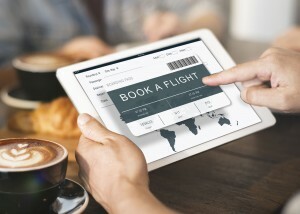 There aren’t many things consumers are willing to pay more for these days, but when it comes to aviation technology, flights are an exception, at least according to a recent study published in The Journal of Travel Research. Researchers from three universities—Ben Guiron University of the Negev, The Hebrew University of Jerusalem, and Technion Israel Institute of Technology—surveyed hundreds of students and discovered that air travel isn’t something most people are willing to skimp on. Though the choices the subjects were willing to sacrifice for, which included day flights, nonstop flights, and “brand name” carriers, didn’t actually increase their safety, it did relieve their anxiety about flying. One researcher called for a publicity campaign to dispel the public’s fear of air travel, which according to statistics, is still the safest form of travel. The unsubstantiated fear of flying was largely attributed to the media’s overexposure of accidents and crash sites. For those in the field of aviation, the results of the study could come as good news in light of recent federal budget cuts that are threatening the industry. In a struggling economy, it may just make sense to charge consumers more for certain “comforts,” especially since they appear to be more than willing to foot the bill for them. Thanks to customers’ readiness to fork over extra money, aviation may just be a lucrative field to enter, after all. Everglades University, an aviation college in Florida, offers a Bachelor of Science degree with a Major in Aviation Management or Aviation Safety for individuals who are up for the challenge. The 123-credit hour program prepares students to take on management positions within both the private and government sectors of aviation. Interested parties can contact the University for More Information, or view the online course description to view the full list of classes and requirements.